HMD Global at its MWC event in Barcenola launched five new devices including its flagship the Nokia 9 PureView with five rear camera setup. The Nokia 9 PureView was the biggest announcement at the event. 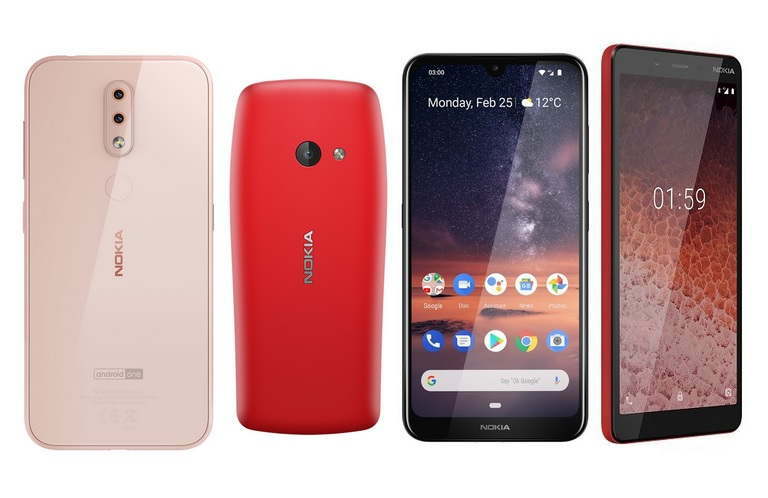 Alongside the new Nokia 9 PureView, HMD global also launched four new budget smartphones including, Nokia 4.2, Nokia 3.2, Nokia 1 Plus, Nokia 210. Now lets quickly check out the specifications, price, and availability of the new Nokia devices. The Nokia 4.2 comes with powered by Snapdragon 439 SoC coupled with 2 or 3GB of RAM and 16 or 32GB of internal storage, which can also be upgraded via micro-SD card. The phone features a 5.71-inch HD+ TFT LCD display with Notch. I personally feel that the Nokia 4.2 is designed really well and looks quite beautiful especially from its back. The phone also features a notification light on the power button on the side, and a dedicated Google Assistant button as well. This phone also supports both fingerprint and face unlock. The Nokia 4.2 sports a 13MP+2MP dual AI rear camera setup. The Nokia 4.2 has been priced at $169 (roughly Rs. 12,100) and the shipping will start in April 2019. Nokia 3.2 features a bigger 6.26-inch HD+ display with waterdrop Notch. The is device is powered by a Qualcomm Snapdragon 429 SoC coupled with 2GB or 3GB RAM and 16GB and 32GB of internal storage. 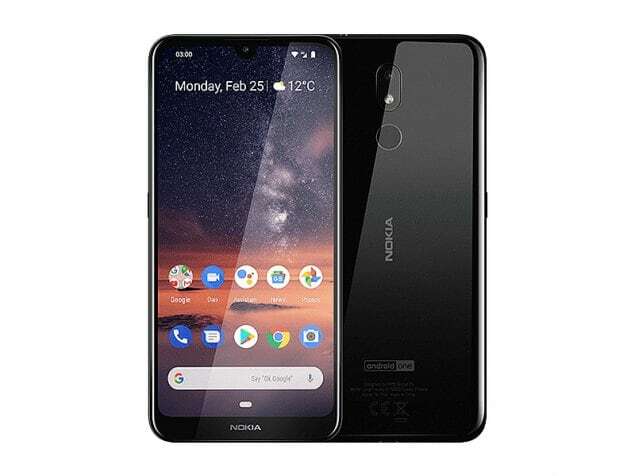 The Nokia 3.2 also features a dedicated Google Assistant button similar to the Nokia 4.2. The device packs a 4,000mAh battery and also supports fingerprint (Only in Nokia 3.2 32 GB) and face unlock features. On the camera side, the Nokia 3.2 sports a single a 13MP autofocus camera, with AI camera modes, f/2.2 aperture, and 1.12um pixel size. Up front, there is a single 5MP selfie camera with face unlock feature. 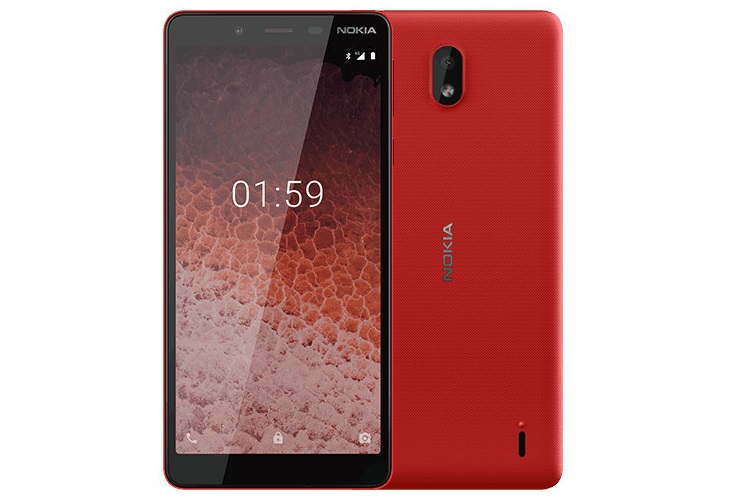 The Nokia 3.2 has been priced at $139 (roughly Rs. 10,000) and it will start shipping in April 2019. The Nokia 1 Plus is a budget smartphone with a 5.45-inch display. It has an 8-megapixel rear camera and a 5-megapixel front camera. The Nokia 1 Plus runs Android 9 Pie (Go edition) and packs a 2500mAh battery. It is powred by a Mediatek (MT6739WW), Quad Core 1.5 Ghz SoC coupled with 1GB of RAM. It will be available in three colors, Black, Blue, and Red staring in early March at $99 (roughly Rs. 7,100). The Nokia 210 is an affordable feature phone with Internet. It is based on the S30+ operating system and claims to have 30-day battery life. The phone has Opera Mini for Web browsing. 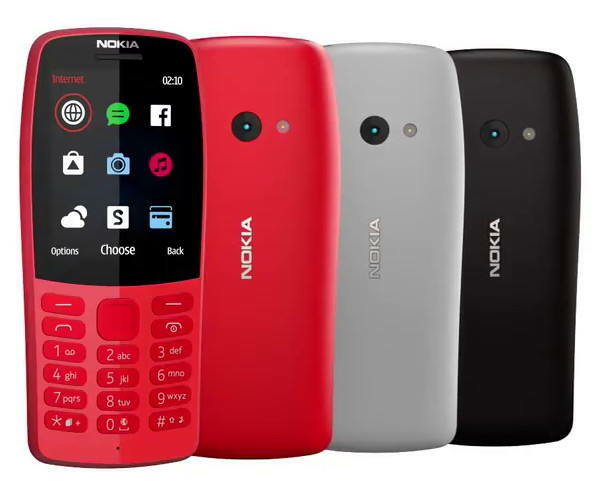 The Nokia 210 will be available from next week in Black, Grey, and Red at $35 (roughly Rs. 2,500).